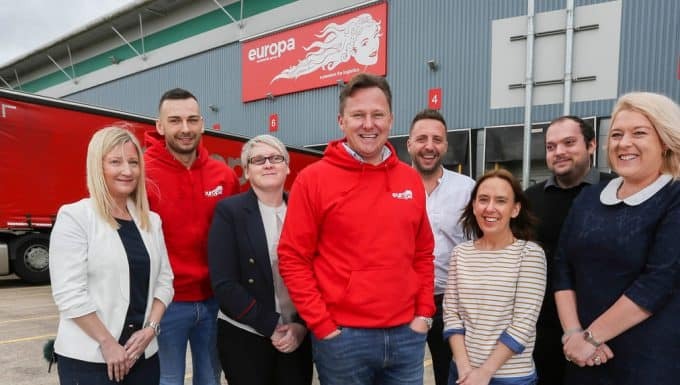 Europa celebrates first six months since launch of Belfast based branch. The Belfast branch of Europa Road is a dedicated division of leading logistics provider Europa Worldwide Group. It is celebrating a successful six months since opening its doors for business. The team of four has been consistently breaking its own records since last year. Trunk volumes having almost tripled since then. The service is Europa’s first investment in Northern Ireland. It provides 30 daily freight departures between the country and continental Europe via Europa’s £30million 1Hub facility in Kent. Europa launched the service in response to a growing demand. The service fills a gap in the market for exporters wanting fast freight delivery to Europe. 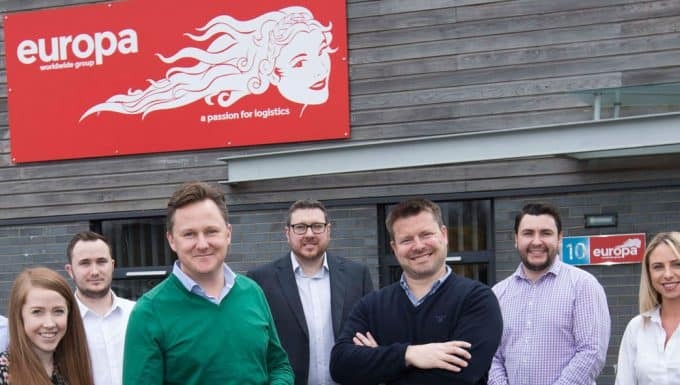 The company’s chosen distribution partner is transport and logistics company Liam Connolly – a family-run business based in County Fermanagh. Europa’s Northern Ireland service provides an opportunity for customers to have their shipments collected and shipped on the same day. These shipments then arrive into the company’s 1Hub facility the next working day for onward connection to Europe. The new service is an important part of Europa’s growth strategy. The company recently reach its strongest-ever financial position with a turnover of £180m. The business aims to pass the £400m turnover mark by 2022. 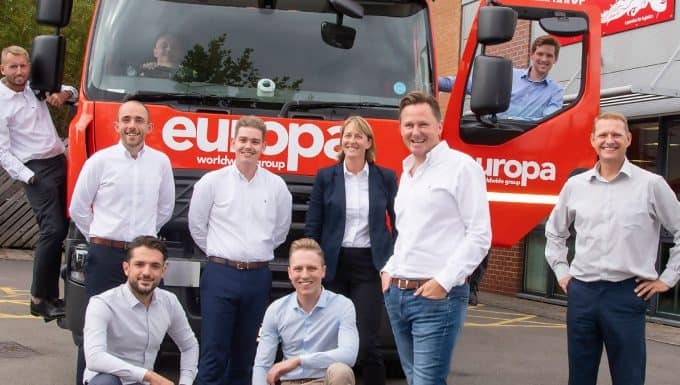 Europa Worldwide Group is a specialist Road, Air & Sea, Warehouse and Showfreight operator employing more than 900 people across 16 sites in the UK, as well as Hong Kong, the Czech Republic and Belgium, with representation in 100 countries.